For businesses that are concerned about saving energy, Vermont is a great place to be. According to the American Council for an Energy-Efficient Economy, Vermont is the 5th most energy efficient state in America, so the climate for businesses to make efficiency upgrades is perfect right now. Each year between 2,000 and 3,000 Vermont business take steps toward improving the efficiency of their buildings and operations, but there is still a lot of room for improvement. From commercial lighting and compressed air systems to HVAC and refrigeration, Efficiency Vermont offers rebates to businesses that make system upgrades that decrease their energy consumption. Vermont Gas also offers rebates to its customers who make equipment upgrades that amount to natural gas savings. They provide rebates for commercial buildings that replace furnaces, hot water heaters, and other physical equipment, but they also offer custom rebates for facilities that make other improvements that have a positive impact on the amount of natural gas they are consuming. One great example of the Vermont Gas custom rebates mechanical insulation installation or upgrade. While it’s not listed on their website, if you receive an insulation energy audit from a qualified insulation contractor and there is a significant projected reduction in natural gas consumption, Vermont Gas will be able to set up a custom rebate for your business. 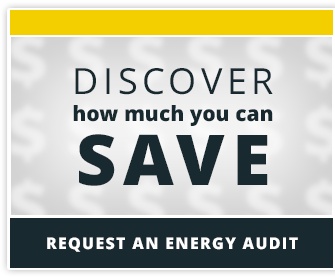 If you want to make efficiency improvements but don’t have the money, your business may qualify for an energy loan to help fund energy efficiency upgrade projects in your facility or institution. These loans or loan guarantee programs are designed to more than cover your monthly payments on your upgrade, making a positive impact on your cash flow. There are also tax credits and tax exceptions available to commercial businesses that meet certain energy efficiency requirements. For example, in Vermont, you may qualify for a sales tax exemption if you purchase renewable-energy systems for your business.